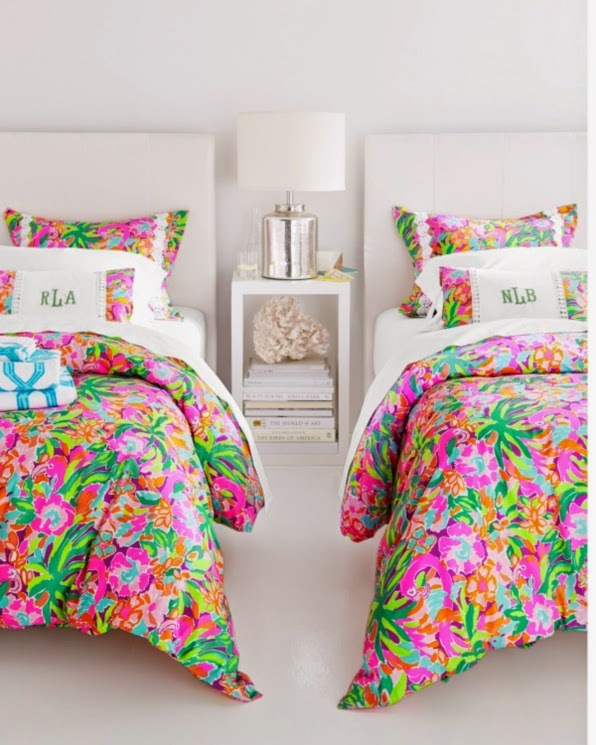 Natalia and Alexia adore the Lilly Pulitzer for Garnet Hill bedding in their room. 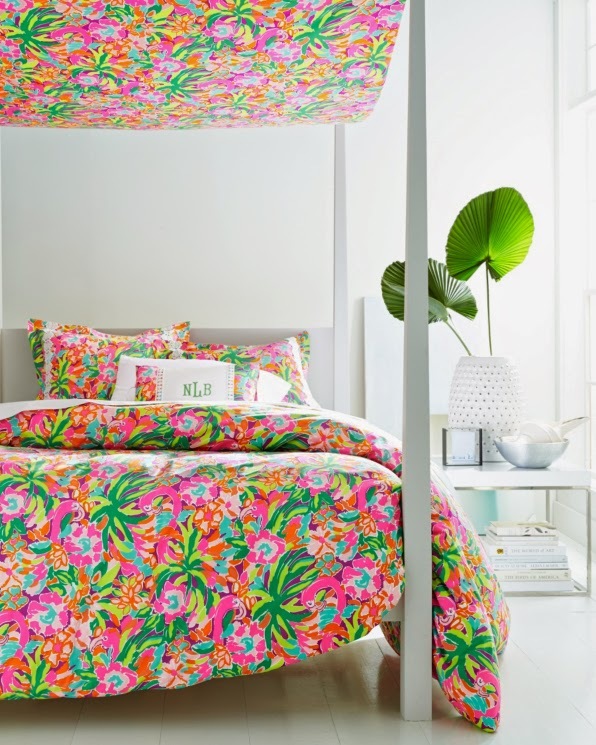 Sunny bright yellow and pink illuminates the girls' Lilly-themed bathroom. But when I saw the latest print that Garnet Hill released, I am quite tempted by the idea of getting some new bedding. Just feast your eyes on this fabulous collection.